With all the rain we have had lately comes a lot of moving water and new areas on some lakes to fish. Jack and I were out on East Lake Toho this morning scouting and checking out the flow and how it was going to affect the bass out here. Very strong flow coming thru the canals made for some good fishing using Red Eye Shads, Whacky rigged and T-Rigged senkos and lizards. Water Temps have cooled some because the rains and water levels are looking great. Come catch your bass with us now!!! 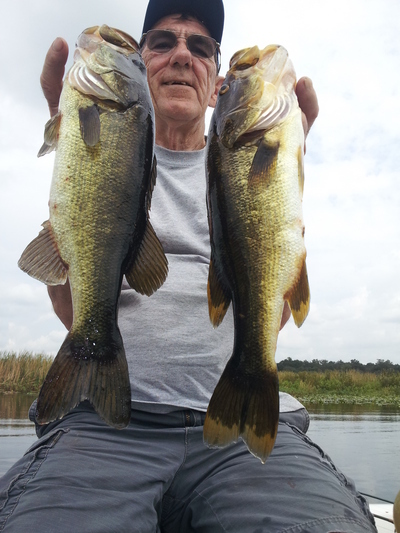 Bio: Florida Bass Fishing Guides' founder Captain Tim Fey has been fishing Central Florida lakes for over 15 years. Captain Tim Fey is a Licensed Captain with the US Coast Guard and an avid tournament angler. Captain Tim has published numerous articles on trophy bass fishing and is an advocate of C.P.R Catch, Photograph, and Release.